Our Tree-Guesthouse is located in the hills of Rincon', Puerto Rico. We are just minutes away from the islands' most exotic beaches. 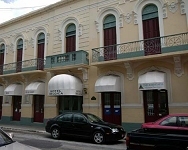 Antique - style boutique hotel located right on the heart of the Ponce tourism area. A beachfront villa with 4 bedrooms overlooking the Caribbean seashore. E.V. 's Vacation Rental has 3 large beautiful studio guest rooms within walking distance to the enchanted beach of Barrero, Rincon. This is that special place where you can just get away from it all. Relax and enjoy the west coast Caribbean. This is an Arecibo's private residence short-rental. Capt. Omar Orraca welcomes you to Caribbean Outfitters fishinginpuertorico.com. 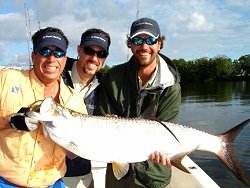 Providing Guided fishing trips, Tarpon Fishing, and Fly Fishing. Fishing Charter available in San Juan Puerto Rico, St. Thomas, Culebra, Vieques and Dominican Republic. 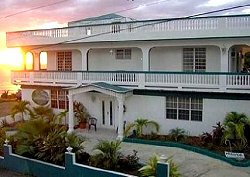 Ceiba Country Inn is a small private inn nestled in the quiet foothills of the Luquillo Mountains of northeastern Puerto Rico. Perched on a ridge crossing a valley, it offers commanding views out to Culebra Island and inland to the jungles of El Yunque. Under new ownership as of august 2009. The El Yunque rainforest inn is not your typical bed and breakfast. 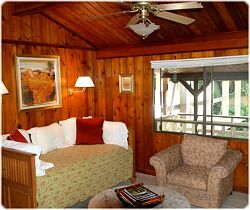 Each of our rentals is a complete villa with two bedrooms, living room, private porches & more. They're vacation rental homes. 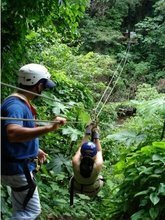 Nature Adventure: Ziplining in Puerto Rico! Adrenaline and excitement above the Tanamá River. Only five minutes away from Caguana's Indigenous Ceremonial Park, Utuado, Puerto Rico. Puerto Rico tour company with the personal touch, the one that goes the extra mile, the one that means to please, the one with the BORICUA experience. PuertoRicoExplore! is the longest running travel destination directory in Puerto Rico. We are not corporate owned or sponsored. 100% made in Puerto Rico!